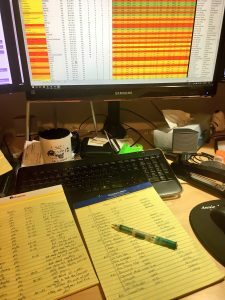 Preseason Top 25 work featured an extensive Excel spreadsheet, at least two notepads, and plenty of erasers. The 2017-18 Division III basketball season is around the corner. Retirements, new coaches, transfers, new rules, and plenty more await us on November 15 when things officially get underway. I am certainly excited about the upcoming season, but will admit the last two months have flown by. Last I checked, I was putting some things in order while relaxing at my parent’s place in Down East Maine. Suddenly the season is roughly two weeks away and I don’t feel ready. Not sure how the teams feel! This men’s basketball season promises to carry on the theme of the last few years: parity. Plenty of parity. That said, I felt I had less teams to consider for the Top 25 than I can remember in a long time. Maybe that’s because of parity. So many teams that have been outstanding are just good or pretty good now. There just doesn’t seem to be many outstanding teams. I felt I was saying, “eh, nope, not a Top 25 team on paper right now,” a lot. I said it to a lot of those perennial favorites as well. I’ll give a spoiler away now. Amherst, Hope, St. Thomas, Whitworth, and Wooster didn’t even make my ballot. Most of them I didn’t consider after looking them over the first time through. That doesn’t mean they aren’t good teams. It is just so much harder to figure out the Top 25 because we now have a handful of really good teams and a ton of good to pretty good teams. Too many to fit on a ballot. One other thing that surprised me, I voted for three WIAC, three NESCAC, three USAA, and two CCIW teams. Nothing against those quality conferences, but with so much parity I didn’t think 11 of the 25 slots would got to the four power conferences. I am not incredibly confident I have read the tea leaves accurately this year. I stared at my notepads and Excel spreadsheet for long periods of time trying to figure out who really deserved to be, say, the 11th ranked team. Which teams was I completely misreading or misinterpreting. Was the loss of an important player going to hurt or maybe help? How much stock was I putting in historic performances and was that even fair to do? As I’ve had said in many a preseason, at some point I had to just stick with what I had on paper and stop erasing and rewriting (thank goodness, I do these ballots with a pencil). I could erase and rewrite hundreds of times, but I was never going to feel satisfied with my results. There are teams that I could even argue may be too high, too low, should be ranked, should not be ranked. Personally, I can’t wait to get a few weeks of basketball underway to better understand what I am reading or hearing. I won’t bore you with any more of my odd-ball thinking. Let’s get to my ballot. I have included at least a brief note or thought about each team, so this will be lengthy. If you enjoy these kinds of things, have at it. If you rather just see who I ranked where and ignore the rest, I won’t take it personally. Whitman hopes to take trade in their 2017 Sectional Championship trophy for something with a little more gold in in it. This one was about as slam dunk as they get in recent years. After nearly going undefeated for the entire season with the lone loss being to the eventual national champions in the national semifinals in one of the best games I’ve witnessed… someone else had to impress me to knock the Blues off the top perch on my ballot. Especially considering everyone returns! One theme you are going to hear a lot from me is “this feels a bit high.” Augustana came out of nowhere last season and made it to the national championship for the second time in three years, but they felt at least a season early. The Vikings bring back a lot of talent, but also need to fill some holes. I hope I am not expecting too much from Rock Island. Four starters return to a squad that also seemed to be a year early. Ephs seem to finally have rebuilt, but they also lost a lot in two players graduating. Expectations are going to be high in Western Mass. Nothing shakes my head more than the Roadrunners who had a record season last campaign, but once again seemed to hit the glass ceiling. And when they hit that ceiling they tend to hit it hard. Ramapo brings back a ton from last year’s squad including Mr. Everything Tom Bonacum plus a bevy of transfers, but this squad has got to be focused on the bigger picture. I would have ranked them #2 if I had confidence they could break through when it matters most. I also thought about ranking them lower. Connor Raridon returns (if you ask some fans, his season-ending injury still affected the team 20 games after the fact) and that means all five starters are back for the Cardinals along with nearly all of the offensive production. It is going to be a battle in the CCIW this season with a lot of good teams (Carthage, IWU among others), so I expect NCC to take some lumps, but they could also turn some heads. 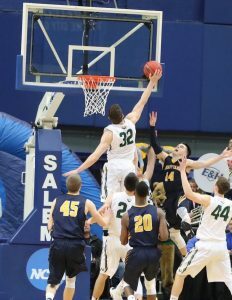 Babson’s national championship came in part to the incredible play, including this championship-winning block, of Joey Flannery. When you lose one of the best players to play in Division III to graduation after winning the national championship, the next campaign doesn’t expectations as lofty. I figured I would drop Babson far because I just am not sure you can ever make up for what you lose in Joey Flannery, but once again the Beavers have a wealth of transfers that could keep them atop the NEWMAC, the Northeast, and in the national conversation. Tough read on the Panthers. Four starters return, but that accounts for only half of their offensive output last season. Losing Matt St. Amour is big; however, it also could make this team come together even more and provide more options and targets. Losing an incredible talent may be the perfect thing to bring it all together. Yeah, I am not sure if this is a bit of a reach or not. The Panthers had a tremendous season last campaign and return four starters, the conference Player of the Year, and nearly 80-percent of their offense. However, will everything ride on Wes McKinney or are their other options to keep Hanover in the conversation? I have more questions than answers and feel I may be putting too much stock in Hanover early. Another team who had a great campaign where I am not sure what to make of the off-season. Lost two starters which accounted for about a third of the team’s points and half the assists. Can UWRF keep the momentum moving forward? Has UWRF permanently changed the conversation atop the WIAC? I think they may have, but the WIAC race will be the toughest it has been in a few years. I haven’t hidden the fact I have not been as impressed with the Bears in recent years. However, it appears what some would call a “rebuilding” or a “retooling” has brought us to this season. The UAA is ripe for the taking and I don’t see why WashU won’t be on top at season’s end. Three starters and 75% of the offense with weapons in all places on the floor. I like how it reads on paper, but want to see how it plays on the court before I move them up higher. St. John’s sophomore David Stokman looks to continue the rise of the Johnnies in the MIAC. That is not a typo. The Johnnies showed last year they are ready to dethrone St. Thomas in the MIAC. All five starters return, nearly all the scoring, plus three players in double-figures in the starting five with weapons at guard, forward, and center. I think St. John’s is ready to surprise a lot of people who haven’t been paying attention to anyone but the Tommies in the MIAC. Is the rebuilding process over? Whitewater has had a few seasons where the team hasn’t been where people are used to them, but it seems that is now in the past. The pieces appear to be there. It feels like Whitewater will make it a thick race atop the conference. What I saw the Jumbos do in the postseason without their center, Tom Palleschi, gives me confidence they will have a strong season this year now that he has graduated. Three starters back including Vincent Pace not to mention a lot of scoring options. I think Tufts is here to stay in the upper echelon of the NESCAC. Here is another team that lost quite a bit, but may surprise. Yes, losing AJ Edwards and others (accounting for over half the points) hurts, but the Pioneers have a transfer from Wooster and Ohio Valley (DII) that seem ready to contribute right away. The start of the season will be very difficult and will prove either I have put too much stock in Marietta or they are going to bounce back nicely. I’ll be blunt: the Yellowjackets lost a lot! I had them in and out of my ballot a dozen times. I still am not sure I should have voted for them, let alone 15th. Sam Borst-Smith, Mack Montague, and Zach Ayers made that offense click and nearly knocked off Whitman in the Elite Eight. They have a lot of talent back and the name recognition helps with recruiting. I’m not sure if this was the right thing to do in the preseason, but the ballot is already in. Ohio Wesleyan senior guard Nate Axelrod looks to continue the Battling Bishops’ success from the last half of last season. The Battling Bishops have one of the best, if not the best, point guards in Division III basketball. Nate Axelrod had an off-season last campaign maybe because he was the focus of every defense. However, it is his senior campaign and he has some more options around him to take the pressure off. I suspect OWU will quietly surprise some people as they did to close out the second half of last season. Admittedly, the ODAC is down. Randolph-Macon could show that last year wasn’t a fluke with far more experience, but I still think the ODAC campaign goes through North Carolina this season. That said, I do wonder if the Quakers are not a little distracted. Administrative changes have removed the AD title from Tom Palombo who was also in the running to be the next Washington & Lee head coach prior to that title change. Or maybe those distractions and less responsibility will galvanize this unit. I’ll be watching Guilford quite a bit this season. It seems the Captains missed their chance last season losing to Keene State in the NCAA third round. They have only lost five total games the last two seasons, but come in to this season banged up and having lost a lot of leadership from last year. Reports are Marcus Carter won’t be back until the second semester after knee surgery and others will be missing as well. The CAC may be easier to win this time around (Salisbury rebuilding and no other serious threats seemingly on the horizon), but on a national level CNU’s performance may not impress many. This is a wait and see season. CMS’s Michael Scarlett lives up to the name rather well. He is also a dangerous offensive threat who sets his teammates up well. It appears CMS has built something for the long run in Southern California. Or at least for consecutive seasons. Michael Scarlett will lead the way with his incredible three-point and free throw shooting along with looking to help others. CMS should roll through the SCIAC and look to finally make a run in March. A third team from the WIAC on my ballot… and it isn’t UW-Stevens Point. Oshkosh has been the most consistent in conference the last few seasons, but maybe I am buying too much stock. Three starters and most of their offense is back. As I wrote in my notes, “I like what I see on paper, but…” Not sure what the “but” will produce. Lost their best player in Keegan Ryan and then their coach, Rob Kornaker, announces his resignation (retirement?) shortly before practices begin. Losing those two men alone had me leaning towards not voting for the Cardinals (the pessimistic side of me wondering if Kornaker’s decision to leave was because he knew this campaign wouldn’t be as good despite saying he wanted to see his son play in college). However, I am going with SJF early because they still return four starters and nine players who played more than then minutes a game on average last season. Their assistant coach, who was groomed by Kornaker, takes over. It could still be a good squad in the East. Adam Gigax and the Emory Eagles hope some time playing in Italy this summer will springboard their upcoming campaign. A third team from the UAA in my Top 25. Yeah, I am unsure. This is the area of the ballot where sometimes it might be better to throw darts. The Yellow Jackets should be good. They are one of the most consistent teams in the last six years in the UAA. That said, it seems they haven’t returned to the level we saw from them a few years ago. Another team where I am not sure if I am reading the tea leaves correctly or not. One of the best players in the East Region and maybe the country returns for the Thoroughbreds who have a lot of talent in a lot of different ways. However, they haven’t been able to put a consistent season together … yet. Maybe I like this team more than I should. Maybe I like and see more in Edvinas Rupkus than I should. I am willing to admit Skidmore has a lot to prove others than it does me and that may mean I have blinders on. The one thing I can absolutely say with certainty about the Royals: they are one of the more consistent programs in Division III men’s basketball. I know they will be at the top of the conference and being considered for Top 25 attention every season. They bring back a lot of weapons, but for the first time in many years I think they are missing a key piece inside (center). How they handle finding the answers down low, so Ethan Danzig doesn’t feel like he has all the pressure on him to produce, will be the key. Here is my wild card. The Bison return nearly everyone from a campaign that turned a lot of heads, including their NCAA tournament appearance (before being crushed by Endicott). Nichols returns four starters and over 80-percent of the points scored from last season including DeAnte Bruton’s 21.3 ppg. However, the Bison have nothing on their schedule that will reveal much about them. Wesleyan, Trinity (Conn.), and Endicott (who lost a lot) are the only games of note. That will make it hard for Nichols to climb my ballot or appear on many others. Sometimes in the past I have revealed other teams I have on my radar. Other years I have not. I debated long and hard about doing it this year and decided not. Too many people think if I don’t mention a team even on my radar that I am somehow slighting them or the squad when there is absolutely no way I can list every single team I can or did consider in some manner or way. And with that, this preseason ballot vote is done. Plenty of questions, not a lot of answers, and still two weeks until we see any meaningful basketball played. I look forward to seeing what teams I gauged correctly and which ones I completely missed on. Believe it or not, even when I am wrong I am delighted with the process. Voting in the only Division III men’s basketball ballot is an honor and it allows me to better understand programs, conferences, regions, and much more far better than I could otherwise. Enjoy the season, folks, and don’t forget to join me on Hoopsville starting Thursday, November 16 – it is out 15th Season Debut! I can’t imagine doing anything else this time of year. I’ll be honest: I enjoy doing these blogs mainly because it allows me to reexamine my ballot on a weekly basis. Sometimes, as I have been writing these over the past few years and giving my reasons for why a team rose or fell on my ballot, I would change my mind and either go back and adjust my ballot before the deadline or keep my notes in mind during the upcoming week. I also knew that I needed to have valid reasons for my decisions or the public would call me out. But let me even more honest: I have not looked forward to writing this blog this season because the men’s Top 25 is a clustermess. There was no way I could write my thoughts on teams without argue against myself into a never ending pit for every single team in every single position on my poll. I joked with Pat Coleman while putting my pre-season ballot together, and again in Week 1, on whether I could start at number ten and go down from there. However, it is about time I put my ballot back out for the world to see and I decided a few weeks ago this would be as good a time as any. We are about halfway through the season and at least some things are shaking out. Of course, there is plenty of teams getting Top 25 attention (the last poll had 48 teams receiving votes; this week’s poll probably has even more) and there are plenty of different opinions amongst the 25 voters – my ballot has never looked so completely different than the overall poll in all of my years of voting – but, at this point there is nothing to lose, so here it is. 1 UW-Whitewater Augustana Augustana UW-Whitewater Wash U. Wash U. Clearly plenty of movement and plenty of turmoil. I am actually surprised I’ve only had three different number one teams. Also, the amount of losses I have racked up in each of these ballots is pretty surprising. For example, there were 15 losses between the preseason and Week 1 polls; there were eight losses between Week 2 and Week 3; and between Week 4 and Week 5 I racked up 14 losses. Sure, some of those had extended periods of time, but that is still a lot of losses. Talk about meteoric rise for the Bears. They aren’t even picked to win the conference this year and yet they remain undefeated at 11-0, but will get started with conference play this week in a long awaited game against Chicago and then they will face Emory and Rochester the following weekend. Talk about a perfect time to prove whether the Bears are as good as their first half has indicated (which included a win over Wheaton [Ill.], Webster, and Illinois Wesleyan and struggle against sub-par Trinity [Tex.]). We all know Wash U. is a well-coached team, I just didn’t think they had enough talent coming back to be this highly ranked. The next two weeks will be very revealing. Maybe I am the only one who is seeming something out of the Tommies that deserves this high a ranking, but I like how they are playing. 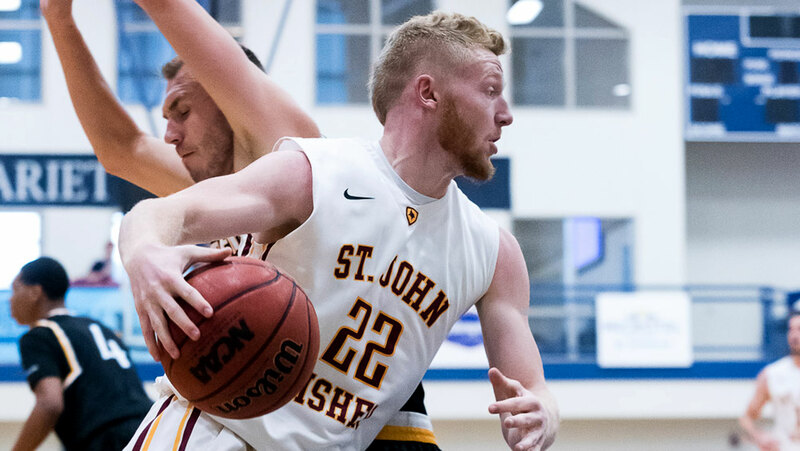 Sure, their loss to Gustavus Adolphus shook my head, but they rebounded to beat St. John’s who has been a thorn in St. Thomas’ side for awhile. They also have a convincing sweep of Whitman and Whitworth on the road and a solid win over UW-Stevens Point. I like the Tommies who, wont’ have a huge challenge for a few weeks when they face Bethel and St. Olaf both improved and both on the road. The Augies certainly have had a strange season to this point. Losing players to injury, beating Bradley in the preseason, barely beating Albion and MacMurray, losing to Central, knocking off UW-Whitewater… not sure Augustana doesn’t have a little Dr. Jekyll and Mr. Hyde in them this year. This is a talented bunch who has played together for several years now. You can’t help but have high expectations for this squad, but they will get a test in the coming weeks by first taking on Elmhurst (good way to gauge the Blue Jays as well) before then facing North Park, North Central, Wheaton, and Illinois Wesleyan. Let’s see how they do before I feel completely comfortable with number three (I wasn’t even close to comfortable with them number one when I voted them accordingly earlier this season). The Warhawks were my default preseason number one because they were the national champions and I had absolutely no one else to put above them – everyone, including the Warhawks, had more questions than answers. At first I wasn’t going to knock them for losing to a top-level NAIA squad, but some arguments by others convinced me. They then returned to number one right before losing to Augustana on the road. I am not sure if Whitewater is that good or everyone at the top has fallen just a bit towards the middle. Either way, Whitewater is a tough team that is certainly coached well and with the least challenging of the WIAC schedule ahead of them for a few weeks, we will have to wait until the UW-Stevens Point game on January 21 to really get an idea of what kind of team this is (remember, this game was their coming out party last year). Clearly I am higher on the Engineers than others. I was higher on WPI coming out of the Hoopsville Classic than others on hand. Who knows why, but I can say I like how WPI is playing. They lost a tough game they should have won against Cabrini, but they play good defense, shoot the ball well, and have multiple options on offense. Chris Bartley knows how to get this team ready for anyone and they have beaten Chicago, Tufts, and Williams (who is surging) so far this season. The challenge will be that they are in a very challenging NEWMAC (who is on par with the NESCAC in terms of quality of teams from top to bottom) and will be reminded of that when they play Springfield (home), MIT (away), and Babson (away) in the next week and a half with Emerson and Clark lurking beyond. If the Engineers want to live up to my expectations while proving everyone else wrong, they need to start conference play with a bang. Here’s another team I am clearly higher on than everyone else. Babson has continued to impress especially walking into LeFrak Gymnasium and holding Amherst to 49 points while handing them their second straight home loss by 19 points or more. Babson has beaten an impressive Bates squad along with Bowdoin and Tufts. They have also blown the doors off of some other squads. NEWMAC play, like with WPI, will be their bellwether. They face Emerson (away), Springfield (away), and WPI (home) in the next three games. If they come out of that 3-0 they will have proven themselves and forced me to pick between the two teams I think are the best of New England right now. Are you sensing a pattern? I am higher on the Yellow Jackets then many, but I also see how much talent is on this squad and we all know how good a coach Nate Davis has proven to be. Granted, the loss to Christopher Newport at the beginning of the season and then the head-scratcher of a loss at home to Frostburg are enough to give pause, but RMC has also beaten the likes of Virginia Wesleyan and Lynchburg in conference action and survived tests against well coached squads like Mary Washington, Mary Hardin-Baylor, Wittenberg, Cabrini, and others. The true test will always be ODAC play and they have Bridgewater (home), Guilford (home), Hampden-Sydney (away), Roanoke (away), and Virginia Wesleyan (home) in the next five games to prove themselves to others. In this case, I am finally joining the rest of the voting bloc. I haven’t been convinced the Eagles were that good this year despite wins over Guilford and Oglethorpe. The loss to Piedmont certainly concerned me and they didn’t exactly impress against Trinity right afterward. However, the break did them some good as they steamrolled Bates and Virginia Wesleyan to give me all the reason I need to push them well up my ballot. Now Emory has Rochester, Wash U, and Chicago all on the road (at some of the most difficult places to play in the UAA) in the next week and a half. Clearly the UAA will have plenty answered in a quick period of time. I am very apprehensive over the Red Devils on my ballot at number nine. I didn’t even include them in my preseason poll because I thought they lost far too much talent, especially at the point. However, they continue to win and the victory of North Central certainly showed me they are still capable of playing with the top teams in the country. While they haven’t played a lot of challenging teams outside of NCC, the Centennial will challenge them with a resurgent Franklin & Marshall squad along with a McDaniel, Gettysburg, and Johns Hopkins teams. Dickinson may be too high in the poll, granted, but at this point… everyone might be too high in the poll. I can’t figure out the Scots. Not this year. Not any year. We always know Steve Moore will put together a good team, but this year they have lost to Hanover and Ohio Wesleyan (in back-to-back games) and have also beaten Hope who beat Ohio Wesleyan. In many of their wins they have blown teams out, but Mount Union gave them a hard time. Maybe this is the Dr. Jekyll, Mr. Hyde team! Either way, Wooster has it’s work cut out for themselves in a rather challenging NCAC. There are probably four teams who have a valid opportunity to win this conference and as last year showed, you can’t assume anything on any night in this conference. I am leery Wooster will disappoint yet again, but in the meantime they are 9-2 and again… blowing out a lot of their opponents who are usually pretty good squads. The Falcons are once again running through their season with reckless abandon and garnering plenty of hype. They at least challenged themselves with Richard Stockton at the beginning of the season, but in what all accounts was an ugly game both in play and in words/actions, AMC couldn’t pull off the victory on the road. Since then they haven’t really played anyone of note (the Purchase State game should have been a good test, but the Panthers were decimated with injuries this year) and have barely won some games they should be winning easier, it is hard to figure out if AMC is really good or it is once again smoke and mirrors. The conference will once again not provide any answers except if the Falcons lose. This is pretty much the ceiling on my ballot for this team. The Marlins are probably one of the most consistent teams this century in Division III. It feels weird if I ever consider not putting them in my Top 25. Even if they have lost a bunch of talent, Dave Macedo has someone else in line to take over – consider it their version of the next man up. An early season loss to Randolph-Macon isn’t too concerning and while losing to Emory probably wouldn’t shake any heads, losing by 13 to the Eagles (and it wasn’t even that close) does. I know Virginia Wesleyan will be competing for a conference title, but they have a somewhat easy restart to conference action. First they have a very tough Lynchburg* squad before facing Washington and Lee, Shenandoah, and Emory and Henry. I wouldn’t be surprised if the Marlins return to my top ten relatively quickly. Talk about a meteoric rise; a picture of the Battling Bishops would be in the Division III dictionary next to meteoric the way they started the season. That start included a convincing win over Calvin before dispatching Wooster and Denison a few weeks later. Since then, OWU is 2-2 with losses to Trine and Hope in the last month (and the Hope loss was bad). I’m not sure if most of us bought into Mike DeWitt’s squad took much (he certainly thinks we did), but with Wittenberg, Allegheny, and Wabash ahead before facing DePauw, once again our answers will only come if there are losses. I did all I could to avoid putting the Pioneers in my ballot the last few votes. I knew they were undefeated, but it wasn’t like they had anyone that caught my eye on their schedule. Yes a win over Hanover to start the season was note-worthy, but until they spanked John Carroll and beat Eastern Connecticut I wasn’t convinced. They are now 12-0 halfway through the season and if they really are this good they will run through the OAC like a hot knife through butter. That being said and even if they stay undefeated, I’m not sure how much higher I could put Marietta on my ballot considering their SOS isn’t going to be that impressive. The Osprey were way too highly ranked. I finally get to see Richard Stockton this past weekend and realized that my gut feeling of having them seventh on my last ballot was correct – they were too high. Even if they had beaten Franklin & Marshall on Sunday, they probably would have fallen at least five spots (maybe staying ahead of Ohio Wesleyan). This is a good team with plenty of talent, but they play immaturely, can’t keep their emotions in check, don’t seem to listen to the coaching staff at times (how else do you get a technical for too many men on the court out of a timeout), and don’t have a grasp of the game at other times (you never foul a buzzer beating three point attempt, for example). It is nice to see the Osprey back in the national conversation, but remember this is a very young squad who is probably riding the coattails of last year’s success in the eyes of other voters and has already proven can make a lot of mistakes. Oh, and they lost their point guard a while back and are still searching for that leadership on the court. I am probably higher on the Maroons then they are of themselves. I am sure Mike McGrath is shaking his head that I have had Chicago as high as seven on a ballot this season. However, the UAA is full of good coaches and if they think Chicago is the team to beat, I take note. Yes, they couldn’t get past WPI and barely survived against Stevenson at the Hoopsville Classic, but that’s where I thought they proved things to me. Their losses to Wheaton and Illinois Wesleyan were disappointing, especially how much both squads are struggling right now, but they have a lot of good talent that seems to be coming together. Of course with Wash U, Rochester, and Emory coming to the Ratner Center in the next week and a half, this is the perfect time to prove themselves. Or maybe they are a year away from really being at their best. The Warriors are proving once again they are a very good team. They will most likely have their sixth straight 20-win season and top the Little East, but I wasn’t willing to jump on board at first when they lost to Hartwick near the beginning of the season. However, they have beaten some good teams like Stevenson, York (N.Y.), Rhode Island College, and Messiah since while barely losing to a clearly good team in Marietta. The Warriors are playing well and have a great test against Amherst that will have all kinds of regional implications coming up Tuesday. 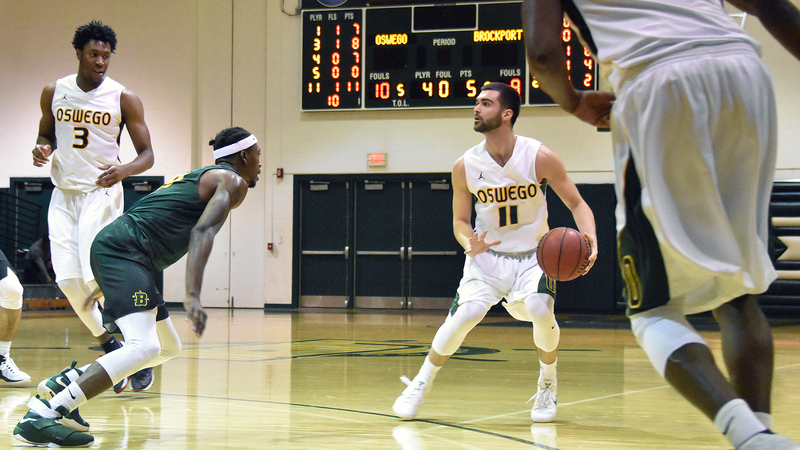 The Eagles had everything to prove and lose at the D3hoops.com Classic in Las Vegas and they proved everyone wrong, so welcome to the Top 25 Husson. Not only did they play extremely well against Scranton to earn the victory in their first game, they held strong against a very challenging Hampden-Sydney team and came away with a thrilling, buzzer beater win to close out day two at the South Point Arena. Warren Caruso has plenty of talent and many options on this squad whose only loss to Bates probably has done more to show how good Bates is as a team. Husson has Colby ahead before getting back into conference play. Conceivably the Eagles could go the rest of the season without a loss and will then look back on their Las Vegas experience when they enter the NCAA tournament – because they will have to prove people wrong once again. The Lord Jeffs are far younger than I kept reminding myself. Not sure how I ever convinced myself they should have been as high as number two – though, I know I kept telling myself how good a coach Dave Hixon is an how much he gets out of his players. The problem is, Aaron Toomey was just that good and it at least got me spoiled into thinking everyone else was that good, too. Amherst is a very good team with plenty of talent to watch out for, but they are not the same team as they have been the last three or so years. I saw them lose a 16-point second half lead and need a buzzer beating three just to tie Goucher (2-9) and force overtime. They had barely survived against a tough Drew squad before that. And we all remember what happened in their final two home games before the holiday break. Amherst may be the team to beat in the NESCAC, but despite two wins I moved them down because they are not as great a team as I was giving them credit. The Royals are once again a very consistent and challenging team. They just aren’t as good as I was indicating in my previous ballots. The loss to Misericordia now makes more sense to me after seeing them play Husson and Hanover in Las Vegas and then watching them barely survive against King’s and Wilkes this past weekend. Scranton seems to never put together 40 minutes of basketball and certainly can’t do it over a multiple-game spread. I think they are well coached and I think they have plenty of talent, but that talent never gels on the same day. If Ross Danzig is hitting shots early, you better watch out; if he is cold early, his decision making process goes cold as well. Brendan Boken is a very talented post player with great, quick moves, but if you take him out of his game like Husson did, Scranton struggles to find other options. Scranton is going to win the Landmark conference and make a return trip to the NCAA tournament. However, the Royals have got to figure out how to play consistent basketball game in and game out before they are going to be a real threat. I just haven’t been convinced the Cardinals were that good this season. They beat UW-Stevens Point and I told myself UWSP isn’t that good this year. They then faced Dickinson and if they had won I was prepared to argue that proved the Red Devils weren’t as good as others thought they were. But now they have beaten Illinois Wesleyan (to complete a rare Cardinals sweep of the Titans in men’s and women’s basketball) and coupled with the fact they have found ways to win throughout the season and I can’t ignore NCC. They have Milikin and Wheaton ahead, but the games I am keying on are January 14 and 17. They will play Augustana and Elmhurst respectively. That will help me get a better gauge of the Cardinals along with the rest of the CCIW this season. Talk about a rough holiday break for the Titans. Did they get coal in their stockings? Illinois Wesleyan blitzed Nazareth and then apparently forgot to show up against Cal Lutheran the next night. They followed that up with a loss at North Central in an important opening game to CCIW play. Some of the comments Ron Rose said of his team, especially after the Cal Lutheran game, should cause concern especially since I don’t think the team headed those words before facing North Central. I am not sure what to make of Illinois Wesleyan right now and with games against Wheaton, Carthage, Milikin, and North Park to come… we might not get a better understanding until they face Augustana on January 21. The Stags are clearly on everyone’s radar, but I think everyone is trying to figure out what to make of CMS. They started the season with a strange loss to Ohio Northern, but then when on a tear before losing to UW-Stevens Point. They clearly have a talented squad, but with so many games against questionable teams or non-Division III teams (three), the Stags are putting themselves on an even bigger island than they and the rest of the SCIAC already are. Chapman (10-0) is another SCIAC who is off to a great start, but it is so hard to figure these teams out. (Tournaments like the D3hoops.com Classic could really help teams in the SCIAC.) I liked CMS in the preseason, so I am riding them for now. The Oles got on my radar when they beat UW-Stevens Point and only had Bethel as their lone loss. They certainly got on other radars as well and when I was looking for new teams a few weeks back to add to my ballot, they got the nod. However, I am leery. They just haven’t played anyone of note besides UWSP and Bethel. Conference action will certainly help answer some questions especially when they play Augsburg and St. Thomas in the coming weeks. Could the Oles really be that good? I could make arguments for why the Diplomats should be higher; I could make arguments for why the Diplomats shouldn’t even be ranked. After watching them on Saturday, I didn’t think they stood a chance against Richard Stockton. Then watching them get a 20 point lead into the second half I couldn’t believe what I was watching. They pretty much blew that lead and needed to hold on to dear life to win. This is a squad that is very young and is still looking for not only its identity, but some leadership. Clearly Glenn Robinson has gotten some talent on this squad that will contribute for some time to come, but I can’t help but think the Centennial schedule is going to rear its head against F&M. No longer are people in awe when they arrive at Mayser Center and no longer is F&M the team to beat in the conference. Dickinson, Johns Hopkins, Gettysburg, and McDaniel all will get additional shots at the Diplomats and should F&M come out of that relatively unblemished and can keep their heads at places like Swarthmore and Washington College, then I will tell you publically F&M is a team to worry about come March. The Colonels are a good team, but when you lose two of your last three to Johns Hopkins and Sewanee, I can’t keep you in my Top 25. I have mentioned Hopkins a few times as teams in the Centennial will have to deal with, but on a national scale Top 25 teams should beat the Blue Jays. And then Centre lost to Sewanee on the road starting conference play on a real rough note. I just don’t know what to make of the Royals. They lost to a very good Buena Vista squad (picked to win the IIAC) and they beat St. Olaf earlier in the year. But they lost to St. John’s in a game that clearly would have stated Bethel was ready for conference action. Not sure they have a resume to keep them on a Top 25 ballot. I have liked the style of play the Mustangs play for a while now. They are very well coached by Gary Stewart, but the loss to Albright after barely beating Macalester on the road and having a tougher battle than I expected against Allegheny is cause for concern. They had previously beaten Widener is what can only be described as an ugly game. Now they have Messiah, Alvernia, and Hood ahead who are all well coached and all have the capabilities, even if they aren’t the same squads as last year, of getting a quality win over Stevenson. 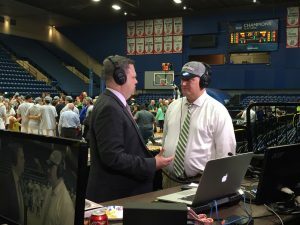 The next few weeks are critical for the Mustangs if they hope to win the conference and ever return to the NCAA tournament. I took a flier on the Bobcats in the last poll because they were undefeated with wins over Babson, Husson, and Bowdoin. And while I think they are still very good team, they lost back-to-back games to Emory and Birmingham-Southern while in Atlanta. If they had gone 1-1 with their lone loss to Emory, I would have left them on my ballot. They have some really good tests ahead with Brandeis and Middlebury in their next two games and of course the rest of NESCAC action ahead. The Bobcats may still be a Top 25 team, they just have to prove they can recover from their Atlanta trip. * – teams I have seen in person. I am not indicating who I have watched online as they are too numerous to keep track of accurately. There you have it. I could make arguments for teams I left in my Top 25 to be taken off the poll. I could make arguments for teams I have been considering, but just haven’t placed on the ballot as of yet. I could argue I have teams too high, too low, etc. There are undefeated teams who haven’t played anyone of note. There are teams with three or more losses who have played a litany of good teams. It is a challenging year to vote in the men’s Top 25 and I don’t think it is going to get any easier as the season moves forward. In the meantime, I will stew over this ballot for the next week and figure out what I am missing or over analyzing. Who knows… I might blow the whole things up in the coming weeks. Throughout the recently completed season, Chapman junior forward Justin Riley blogged about the Panthers’ historic run. His final entry recounts the Panthers’ tournament experience and offers thoughts on the special bond he had with this year’s teammates. We thank Justin for his thoughtful, well written entries throughout this season. And he was just as good on the court, picking up All Independent Player of Year honors. He’ll be back for his senior season at Chapman this fall, and we hope he’ll chronicle it for us. On October 15, a group of guys entered the gym with one thing on their minds: getting the chance to prove himself on the big stage. Practices, games and teammates came and went, but the passion to take Chapman to the postseason for the first time in 26 years burned on. 1. We were ranked in the D3 Hoops Top 25 Poll for all 13 weeks. 2. We had a 17-1 in-region record. 3. We defeated NCAA Division II opponent BYU-Hawaii (ranked 18th at the time). 4. We ended the season on a 13-game winning streak (23.7 scoring margin during streak). 1. Our strength of schedule was weak (no surprise), 392 out of 407. 2. We didn’t have any standout Division III wins, losing to our one real test: Claremont-Mudd-Scripps. 3. We hadn’t played a team with a winning percentage above .500 since December. 4. And of course, Chapman hadn’t made the tourney since moving to Division III in 1994. Once all of these thoughts made their way in and out, I still wasn’t sure if we were going to make it. As an avid board reader, it looked like we were very likely to get a Pool B bid, but I couldn’t convince myself for certain; setting myself up for heartbreak was a pain I wanted to avoid. On Monday morning, five of us met at a teammate’s house to watch the selection show hoping that we would see our name in the bracket for the first time. The show started…we waited…we waited…and then, history happened. If just making it to the tourney wasn’t good enough, finding out we were hosting Claremont-Mudd-Scripps in the first round was the cherry on top. Going in to this game, we knew it was going to be a 40-minute battle. CMS is a well coached, hard nosed team that prides itself on toughness and defense. The practices leading up to the game were very physical and competitive. At 7:00 PM on March 4, the battle began. The environment was incredible with almost 2000 people in attendance; the Chapman student body covered the entire west side of the gym in white, while roughly 100 CMS students stood across cheering in their respective school colors. CMS jumped out quickly, but we were able to close the gap and fight back-and-forth for the remainder of the first half. Just before halftime, Griffin Ramme hit a buzzer beater three-pointer in the corner to give us a three point advantage going into the locker room. The second half started similar to the first with CMS jumping out quickly. Once again, we were able to battle back and seize the lead for the final six minutes of the game and capture the victory 58-47. When the buzzer sounded, the gym erupted and the students stormed the court. Words cannot express how I immediately felt, but it was a moment that I will never forget. After the game, the CMS coaching staff and players showed tremendous sportsmanship and wished us well against Whitworth. The next morning we were up at 4:00 AM to head to the airport to catch a flight to Spokane, Washington. Waking up that early after a physical game didn’t lead to a very comfortable flight, but when we arrived at our hotel, I had no problem taking advantage of the five-hour window to sleep before our evening practice. At practice, we broke down our scouting report and prepared ourselves for another battle Saturday night. When we arrived to the gym Saturday night, we were very focused and determined to upset Whitworth on their home court. Prior to the game, our coach emphasized that if we came out slow, it would be a long and hard battle back. And that it was. Whitworth came out firing as we found ourselves down 21-6 with 10 minutes to play in the first half. We were able to battle back and close the gap heading into the break trailing 32-26. The second half mirrored the first as Whitworth expanded the lead to double digits in the opening minutes. We fought hard to close the gap, but were unsuccessful at getting any closer than six points the remainder of the game. Nate Montgomery and Eric Beal did an outstanding job on both ends of the court leading them to a 21-point victory. Silence filled the locker room as all of us realized that our historic season had come to an end. As players changed and left the locker room, the four guys that started alongside of me every game for the past two seasons—Dan Aguilar, Jared Kaiser, Griffin Ramme and Kyle Wood—sat there in silence. Tears immediately streamed down our eyes as we embraced each other in the locker room for one last time. Though Griffin and I have one more year of eligibility, the camaraderie the five of us shared is something special. I am grateful I had the opportunity to help Chapman make the postseason tournament for the first time in 26 years, but I am more grateful that I was able to share it with this group of guys. To Dan, Jared and Kyle: thank you for a memorable year.